HomeComfort Corner LifestyleDoes cheese really give you nightmares? Does cheese really give you nightmares? At some time or another, you have all heard that cheese before bed will give you nightmares. It may have been your teacher, parent or friend but is this common saying true or is it simply an old wives tale? 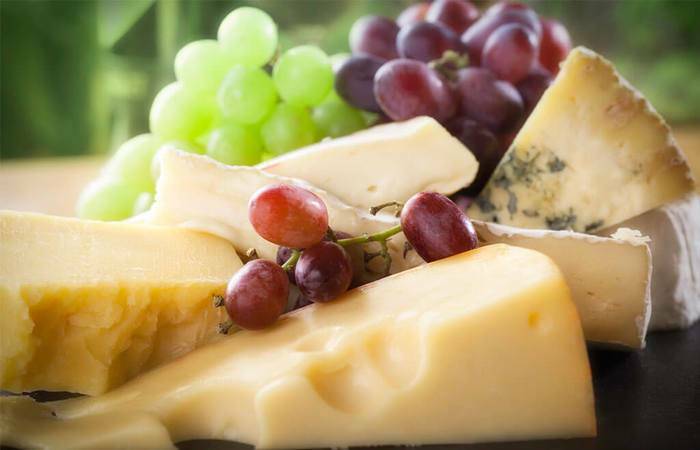 You’ll have to forgive us if this post sounds cheesy because, well, that’s the subject matter! However, after first intending this post to be a little bit light-hearted we have realised that there is more to this that meets the eye. In 2005 an experiment was carried out by the British Cheese Board, who aim to educate the British public about eating cheese as part of a balanced diet. The experiment consisted of giving a number of people a three ounce piece of cheese to consume directly before they went to bed. Different types of cheese were given to different people and the reports were quite strange, if not somewhat surprising. Now this information has to be taken with some caution because ultimately the cheese board are unlikely to say anything negative about something they are trying to promote. However, the study concluded that over 75% of participants had achieved a good night’s sleep with no occurance of nightmares. This therefore loosely confirmed that the amino acid found in cheese was stabilising peoples sleeping patterns, thus reducing stress levels. A further 67% of those taken part had recorded remembering their dreams and out of the 100 male and 100 female sample not a single one reported having a nightmare. It is thought that the more potent cheeses, such as blue cheese, produce more vivid dreams because of the psychoactive effects of different fungi. However, the strangest part of the study perhaps was that different cheeses will often be linked to different kinds of dreams. But what cheeses led to what type of dream? Stilton Cheese: As a bit of a stronger cheese, stilton produced the most vivid dreams. They were also reported to be unusual, zany and weird. Some of the dreams included: lifts moving sideways, soldiers fighting each other with kittens and soft toys that talk. None of these are nightmares as such but they were certainly very strange. Lancashire: Those who had a bit of Lancashire cheese before bed reported to dream about work. Now unless, there was some serious problems at work, this can’t really be seen as a nightmare either. Red Leicester: People who were given red Leicester before they went to sleep would often dream about nostalgia that was linked to childhood. Although, this could be deemed nightmarish for some, the participants reported that these were positive memories. Cheddar Cheese: Thought to be one of the most popular cheeses of the UK, cheddar evoked dreams about celebrities. Some of the famous people included in these sort of dreams were Katie Price, Gazza and cast members from the popular TV soaps, Coronation Street and Emmerdale. Therefore, the answer to the question of ‘Does cheese really give you nightmares?’ is in short no but not without a twist. Cheese may not be a catalyst for giving you nightmares but if you want to sing with John Lennon then make sure you have cheddar before you go to bed, to go back in time be sure to have a bite of red Leicester and if you’re into lifts moving sideways then stilton should be your go to before bed.